The Rural Enterprise Scheme (RES) which was designed to provide assistance for sustainable development projects within communities. There is a wide range of projects covered by the scheme, but the primary aim is to help farmers adapt to the changes in the market and develop their business by investigating new opportunities. Other types of projects would include those that have the potential to produce a commercial return, or those that will provide communities with social or environmental benefits. It can be argued that one of the main aims of RES is to promote and encourage innovation within individual communities, and as a result of this there is no specific list of projects that would be eligible. But, this doesn't mean that just any old project can benefit from this scheme. The list of things that the scheme will look at, although somewhat vague, includes things like, financial help towards the marketing of agricultural products,set-up costs for basic community services, such as transport schemes for those that are classed as being isolated, or the conversion of old out-buildings to create small businesses like tea shops or farm shops. Now although this scheme covers a potentially large array of projects, the amount of funding available is not unlimited. This means that the grants are awarded on a selective, and regional, basis. The eligibility process is tough and all applicants have to undergo technical analysis and are compared to other projects that are similar in design and structure to ensure that the one that will provide the most benefits to the community is selected. It is important that you remember that this scheme is only applicable to those projects in England and also excludes those people who work in areas including Cornwall, the Scilly Isles and parts of Merseyside and South Yorkshire. This is because there are other schemes in these areas that provide funding for these types of projects. Although there is no restrictions in place that determine when you should apply by, there is a limited budget so it is important that you submit your application as soon as possible. Regional boards assess applications £15,000 in funding from the scheme can be fast-tracked.There are also separate procedures in place for those applications that are national and act as a mirror of projects based in single locations. The RES fund doesn't limit the amount available to each project because it is actually intended to fill the gap between the true cost of the project and what you can realistically afford.However, the guidelines show that there are three bands for funding through RES. Firstly, for those projects that have no, or a minimal amount of economic return the funding awarded will be between 50 per cent and 100 per cent. Projects like these, for example, would include those that are specifically designed as an aid to the community or local environment and don't necessarily provide a substantial amount of profit for the applicant. Those projects where the return is the main objective, the amount of funding available is reduced to 30 per cent to 50 per cent. And finally, the projects that have the potential to return in excess of 25 per cent of the initial investment, then the funding is between 15 per cent to 30 per cent. Hello We have a small stone barn on our farm that is no longer in use. I would like to convert this into a workshop to run a floristy business from. There is no florist in our local town and I feel that there is a gap in the market. Are there any grants available to help convert the barn? Just got planning permission for a 60ftx25ft barn in droitwich Worcestershire.we plan to breed rate breeds of animals and rescue animals.can I get funding?? I have an established Arabian stud farm & specialise in conserving rare bloodlines. I have also rescued many Arab horses & would now like to help people who suffer with PTSD by using the rescued horses as horse therapy has been proven to be very helpful. I am based in Devon but have found a more suitable premises in Somerset. I would like to start up as a Harness and Collar Maker (for horses etc.) I am fully qualified but require additional funding to continue.This is a dying craft which I am passionate about. Any assistance would be gratefully received.The area is Cambridgeshire, UK. I am 19 years old and I have just inherited our family farm I would love to start commercial bee keeping I am passionate about the environment and wildlife. The farm is a wildlife haven with large hedge rows and ponds with abundance of wildlife. And I'm very interested in diversifying the farm into a wildlife vistors center in the future. Would like to know if any grants are available for my projects. 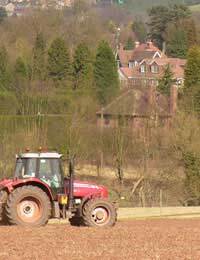 We have planted an apple pear and plum orchard as well as other soft fruits which are now producing significant amounts of fruit and would to start producing cold pressed and pastuerised juices and cordials to sell locally.Is there a grant available to assist us with the start up.we are in rural Shropshire. Try the Rural Development Programme for England (RDPE) Growth Programme or Leader Scheme. We have planted an applepear and plum orchard as well as other soft fruits which are now producing significantamounts of fruitand would to start producing cold pressed and pastuerisedjuicesand cordials to sell locally.Is there a grant available to assist us with the startup.we are inrural Shropshire. Try the above suggestions and also business start up grants. Your local council will be able to refer you to locally organisations that can help. There may be some farm diversification grants available in your area - start with the government advice for more details. There is an old abandoned shop in my village that is due to go on the market. I would like to turn it into a cafe for the community. Although it’s not listed it’s located next to listed buildings and in an area that is protected and deemed to be of historical interest. What grants would I best to look at? I am lookingto set up as a commercial bee keeper. Tryingtofindout whatGrant are available. I have80 hivesup andrunningat the momentand wouldlike toincreaseto 250. I liveinSouthWales UK. I have recently bought a three acre field and planted an orchard. I would like to establish a workshop on the field to process the apples into juice and cider, and also space to store the machinery necessary to maintain the orchard and field. I already take apples from friends orchards and process these at home. Are there any grants that would help me establish the workshop/store? I run a small 35 acre farm in the far south west, of cornwall. I have sheep and calfs. Our income is very low.We do, grow our own haylage, hay etc.We do claim the single farm payment, but we could do with much more.So we can invest and make a full time paid job, and my farm will be more productive.I do not believe my business farm account, bank manager would help, only laugh. I run a small 35 acre farm in the far south west, of cornwall. I have sheep and calfs. Our income is very low. We do, grow our own haylage, hay etc. We do claim the single farm payment, but we could do with much more. So we can invest and make a full time paid job, and my farm will be more productive. I do not believe my business farm account, bank manager would help, only laugh. We are about to start conversion of 3 barns - which fall within a listed building curtilage.Planning permission was granted on the basis that as part of the conversion we must make 2 of the 3 barns holiday lets.Are there any grants available for this? I am starting my own rural craft business teaching people the taditional craft of weaving. Students will range from private individuals to vulnerable children who have been excluded from school, teaching them new skills that they can use for leisure or as occupational therapy. This workshop will also support students from a local rural enterprise centre. The set up costs are not immense but this will now become my only income source. I would be very grateful of any information or advice regarding financial support / grants. My intention is to employ 1-2 people within the next 12 months giving students an opportunity to work / set up their own business. We are looking to set up a farm shopping Somerset would this grant or similar be available to start this business start up? We are looking to renovate an old barn on our farm in Cumbria into a holiday let. Then possibly build a swimming pool which would also be available to the locals. Are there any grants available in this areas pls?